Riteish Deshmukh and Vivek Oberoi's film Bank Chor is all set to release in theatres tomorrow. The film, which promises to be laugh riot, has been directed by Bumpy and produced by Ashish Patil of Y-Films', which is owned by YRF's Aditya Chopra. Bank Chor narrates the story of three amateur bank robbers, Champak, Genda and Gulab (played by Riteish, Vikram Thapa and Bhuvan Arora), who stage a heist at the wrong time. Vivek Oberoi will be seen portraying the role of a cop, Amjad Khan, who has been called to catch the trio. Bank Chor also stars Rhea Chakraborty, who will play the role of a journalist, Gayatri Ganguly. The trailer of Bank Chor was unveiled by the makers of the film on May 9 and highly praised by Bollywood celebrities like Bhumi Pednekar and Taapsee Pannu. Bank Chor also has an appearance by rapper Baba Sehgal, who has also contributed in scoring the film's music. Ahead of the film's release, Riteish Deshmukh stole posters from popular Bollywood and Hollywood movies in order to promote his film. From Shah Rukh Khan and Anushka Sharma's Jab Harry Met Sejal to Salman Khan's Tubelight, the spoof posters sure made us laugh. Bank Chor will release with U/A certificate. 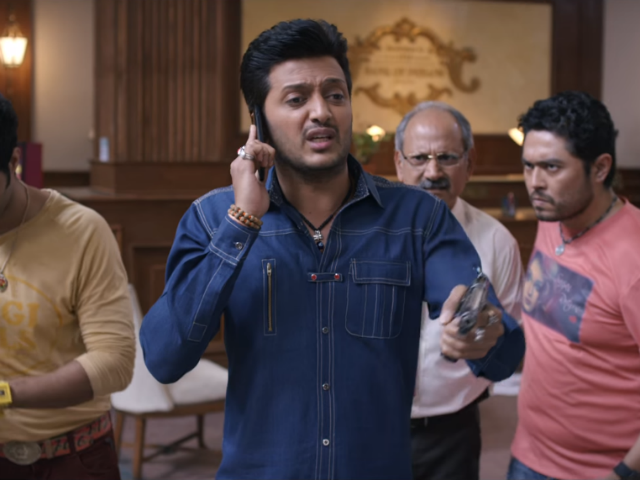 In an interview to news agency IANS, Riteish Deshmukh said that team Bank Chor wanted their film to appeal to family audiences. "Throughout the making of the film, we kept family audiences in mind and we are so glad that the film has got a rating that will attract all kinds of people to the theatres on June 16," IANS quoted the Banjo actor as saying.